A midwife in the palace of Sultan Murat III helps a poor Jewish harem girl in Rich’s follow-up to The Midwife of Venice (2012). In 16th-century Constantinople, Venetian exiles Hannah and Isaac Levi traverse the sometimes-treacherous streets and work to sustain themselves and their son. Isaac’s opened a silk workshop, and Hannah continues to ply her trade as a midwife. When she’s summoned to the palace by the sultan’s formidable mother, the Valide Nurbanu, Hannah’s tasked with examining a young girl whom the Valide wishes to present to her son as a gift. The Valide hopes newly acquired Leah will produce a strong heir and entice the sultan to forget his favorite wife, Safiye. After her village was pillaged and razed by marauders, feisty Leah, a Venetian Jew like Hannah, was taken captive and eventually sold into servitude. Hannah pities the girl and lies to the Valide to prevent Leah from being sent to a brothel. Hannah knows by doing so she’s risking her life, but she comes up with a risky ruse to conceal the lie. Back in Venice, when Isaac’s brother dies, a household maid assumes his widow Grazia’s identity and sails to Constantinople to carry out an elaborate scheme. With encouragement from a fellow conspirator, she refines the plot and, upon arriving in Constantinople, is welcomed and offered shelter by Hannah and Isaac. As Hannah again risks her family and friends to assist Leah, she develops reservations about her sister-in-law and worries about her marriage, her husband’s business and her status with the Valide. She’s prepared to die for her actions, but she doesn’t anticipate events that threaten the family’s stability and result in an unexpected ally. 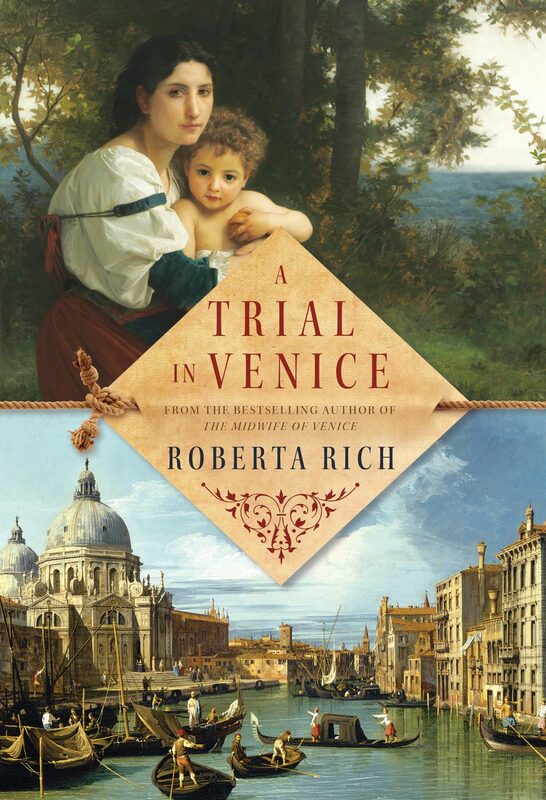 Rich embellishes her tale with graphic descriptions of life and death in Venetia and Constantinople during this era, and although her depictions are sometimes unpleasant to imagine, they add to the intrigue. The ending’s too nice for the guts-and-gore theme of the rest of the book, but the author ties up most loose threads and delivers an enthusiastic effort. This earthy account will please Rich fans.